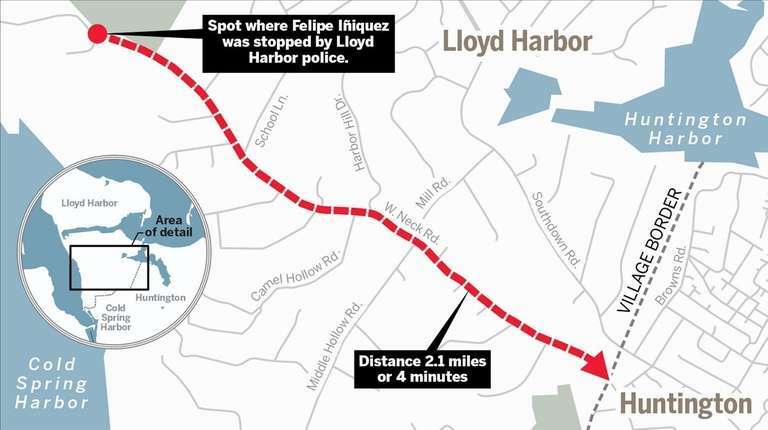 Felipe Iñiguez likely would not be in custody if he had been pulled over a few miles away, outside of Lloyd Harbor. But the village notified authorities that he was in the country illegally. Felipe Iñiguez was driving home after a day of work in May in Lloyd Harbor installing custom-made kitchen islands when village police stopped and ticketed him for having a burned-out headlight, according to a police report. Iñiguez replaced the bulb and turned in the ticket the same day to his local precinct, where it was canceled. 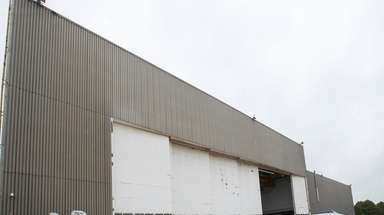 He said he was told the matter was resolved and not to worry about it. A little more than three months later, on Aug. 29, Iñiguez’s life as he knew it would come to an end because of that burned-out headlight. That day, as he was headed to work around 7 a.m., an unmarked vehicle intercepted him, and several men jumped out and ordered him from his van. They were agents of the U.S. Immigration and Customs Enforcement agency, known commonly as ICE. When he asked why they were arresting him, they told him Lloyd Harbor police had called the agency, the Ecuadorian immigrant said in an interview at the Orange County Correctional Facility in Goshen, where he has been detained since then as he tries to fight a 17-year-old deportation order. Iñiguez, 49, of Central Islip, has no criminal record and married a U.S. citizen two years ago. He entered the country illegally via Canada in 2001. When he was stopped by Lloyd Harbor police, his petition for permanent legal residency based on his marriage had been accepted, his lawyer, Eric Horn, said. He also has two sons on Long Island, Anthony, 22, a legal resident in the process of becoming a naturalized U.S. citizen, and Felipe, 17, who was born in the United States. 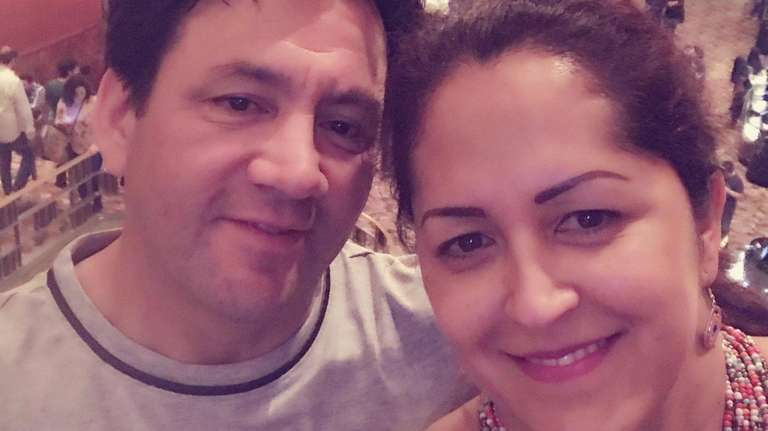 “We know he is undocumented, but we had been trying to address that,” his wife, Yeny, 47, said in Spanish, noting that he had paid his taxes and committed no crimes. Iñiguez’s continued detention is a stark example of how immigration enforcement has changed since the start of the Trump administration. In its last years, the Obama administration focused on deporting people who had committed serious crimes, posed a security risk or recently had been ordered deported. If he had been stopped in 2016, he would have been released on his own recognizance, Horn said. Today, any immigrant who entered the country illegally, even years ago, is subject to deportation. The case also underscores the precariousness of life for immigrants who lack legal status. Had Iñiguez driven another four minutes down West Neck Road to a section 2 miles southeast, ICE almost certainly would not have been notified. 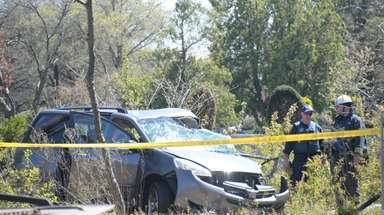 That’s because that part of the road, which is outside the Village of Lloyd Harbor, is patrolled by Suffolk County police, who follow a policy of not contacting ICE unless a person is charged with a misdemeanor or felony crime. Nassau police have the same policy. The 13-member Lloyd Harbor Police Department has no such policy, according to its chief, Thomas Krumpter, who previously was Nassau County police commissioner. Only adding to the sense of unlucky timing was that Iñiguez's application for legal status had been progressing for more than year. The process is “labor-intensive, but generally available, and a process through which thousands of people have gotten their status,” said Christopher Worth, an immigration attorney in East Quogue. 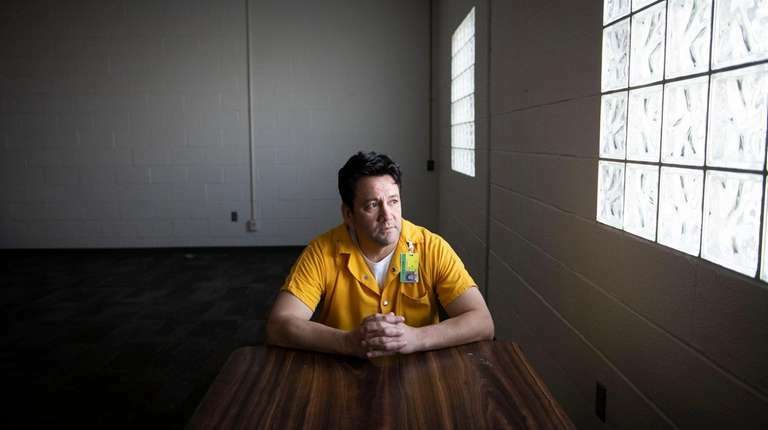 “If you do something [criminal], you know that you'll receive punishment,” Iñiguez said in Spanish in an interview at the Goshen detention center. “But when all you have done is protect your family and work for them, that’s when, the truth is, you ask yourself: What happened? ICE spokeswoman Rachael Yong Yow said the agency was enforcing a judge’s order in the case stemming from his illicit crossing of the border from Canada into Niagara Falls in 2001. ICE issued the detainer on Iñiguez after he missed the court hearing. However, Horn said Iñiguez never knew about it because the notice was sent to the wrong address. The lawyer said he was able to establish this to a court’s satisfaction as he later worked on his legalization petition. “The reality is, Trump has an unwillingness to distinguish between an undocumented immigrant and an MS-13 member,” Horn said, referring to the violent Salvadoran gang that has been linked to numerous murders on Long Island. His life in the U.S. In Ecuador, Iñiguez worked as an English-language translator and a quality-control manager. He said he decided to leave to seek a better future for his family and entered the United States from Canada in February 2001. He was detained for several days in Buffalo and was released with a legal document he said he didn’t understand. He said he went to a notary public in Patchogue, which has a large Ecuadorian population, because he had been told the woman could help him legalize his status. He paid her $500, only to learn later that the woman had defrauded him and many other people in a scam that is not uncommon in immigrant communities. His wife came later on a work-based visa and petitioned for their son Anthony. The years went by. Iñiguez said he worked two jobs, in construction during the day and as a waiter by night. His second son was born, and Iñiguez focused on learning construction skills that were in high demand. When home prices fell in 2008, he bought a house in Central Islip and rebuilt it himself. After Iñiguez and his first wife divorced, he paid child support and remained a part of his sons’ lives, Anthony said in an interview. Anthony credits his father not just for his economic support but also with keeping him and his brother on track. A strong student, Anthony had been enrolled in a business program at the University at Buffalo, but lost interest in the field. After a few bad grades, he lost his confidence and was ready to drop out, until his father stepped in. Today, he is enrolled in a Suffolk County Community College nursing program and said his father has been there every step of the way, paying his tuition, motivating him and showing interest in his progress. In 2015, Felipe Iñiguez met Yeny, who works at a factory in Hauppauge. She was impressed by his strong values and love of family, she said. “He’s a very focused man, very focused on the home,” she said. They married in 2016 and had been inseparable since, she said. They immediately started the process of legalizing his status. It took them nearly a year to get an interview with the Long Island office of the U.S. Citizenship and Immigration Services agency, and their petition for a visa through marriage was accepted in March, she said. Acceptance of the petition is just one step in a lengthy process. In Iñiguez's case, if his lawyer succeeds in getting his removal order canceled and getting him a waiver, he must then wait until a visa number is available. Once he gets that, he becomes a permanent resident. When Lloyd Harbor police stopped Iñiguez for the burned-out bulb in his headlight, they made a routine check of his driver’s license to see if he had any outstanding warrants. They saw an ICE detainer warrant stemming from the judge’s 2001 ruling and immediately notified the agency, Krumpter said. In that moment, the legal document Iñiguez said he didn’t understand when he entered the country 17 years earlier and the missed court hearing came back to haunt him. An officer from the Department of Homeland Security directed Lloyd Harbor police to release Iñiguez because they did not have a team to pick him up, according to the police report. More than 100 days later, ICE agents arrested him as he was headed to his job. Ira Mehlman, spokesman for the Federation for American Immigration Reform, a Washington, D.C., group that advocates for strict enforcement policies, said he sees no problem with local police departments routinely notifying ICE. “You can be subject to deportation merely for violating our immigration laws just like you can be subject to prosecution by the IRS for merely cheating on your taxes,” he said. Such enforcement sends a message to other would-be violators, he said. 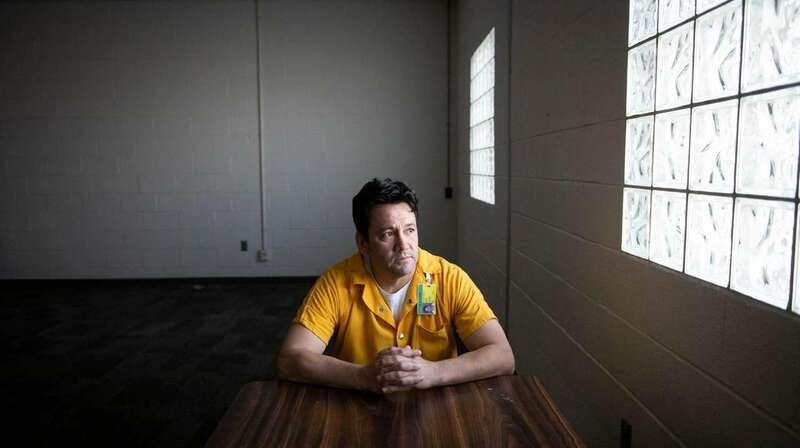 At Goshen, where Iñiguez follows a monotonous daily schedule and wears an orange prison jumpsuit with the word “inmate” spelled out on his right pant leg, he has passed the time playing chess with a prisoner from a country in the former Soviet bloc. He said he has trouble sleeping because he is anguished by the separation from his family and his inability to work to pay his bills. Iñiguez feels more at home here than in Ecuador. “Practically, to me, I belong more in this country than in my birth country. It’s all here. I have already made my life,” he said. What lies ahead for him is unclear. Horn said he’s trying to get him released on bond. A hearing is set for Nov. 28.